Effective maintenance of your estate and assets relies on an organised, systematic and planned approach. Implementation of the Micad helpdesk provides the ideal platform to organise your resources to achieve a responsive and productive support to your business. However, many tasks now need to be undertaken on a planned basis to both meet legal requirements, expectations of external bodies but also to prevent unexpected and potentially costly breakdowns and failures. Can you answer the following questions positively? Do you have a good and thorough knowledge of your maintainable assets? Is that knowledge maintained in an easily accessible area and backed up regularly? Are required tasks and routines well planned out? 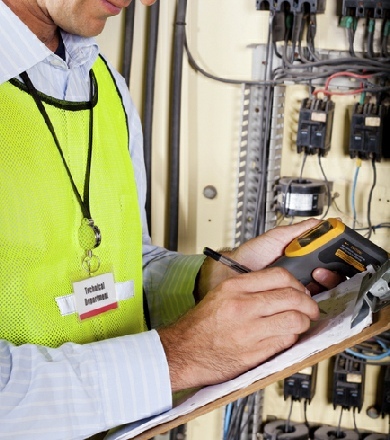 Do your maintenance operatives know what tasks they are expected to do? Can you demonstrate to the business and relevant outside bodies that you are professionally maintaining your assets? Are your workforce fully deployed on meaningful, productive and priority work? A good PPM system relies on the ability to understand your maintainable assets, have well set out planned frequencies and good task descriptions to help your operatives and technicians to undertake the tasks which are required to the letter. Many organisations have limited resource and expertise to apply to these tasks and often need support to get systems set up. Here at EFM Consulting, we can provide the resource and expertise to help you develop these PPM arrangements to ensure you are in a position to comply with legal requirements and keep disruptive and costly breakdowns to a minimum. After initial set-up the task of keeping asset data, plans and routines up to date usually becomes manageable within normal departmental resource levels. Maintenance resources are properly planned and effectively used. Completion of key PPM activities can also be utilised to inform the compliance module within the Micad IPR to provide a ‘joined-up’ approach to your estate and asset management. Utilising us to undertake this important set up phase can help get your system implemented promptly and professionally allowing you to get on with your day to day activities. We can tailor our service to meet your specific requirements and are more than happy to discuss the above support services with you to. Please feel free to contact us to find out more about this and other services we provide.